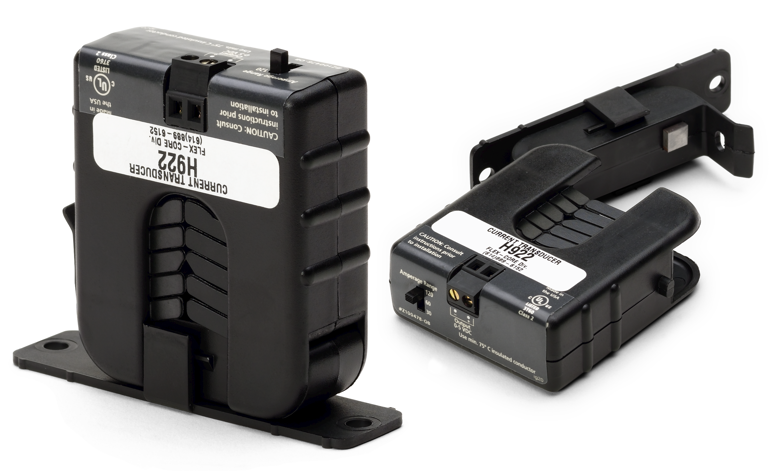 The current transformer clamps around a single current-carrying wire, using swing open jaws and transforms the amperage into a 0 to 5 VDC signal suitable for input into the I/O ports of a climate monitor. To make life easier this beauty doesn't even need a power supply; the transformer is parasitically powered from the line current. A single wire is necessary for current measurement. If two wires are placed in the transformer, their magnetic fields will cancel each other out and the current transformer will not be accurate. Comes with fixable plate to enable secure placement.